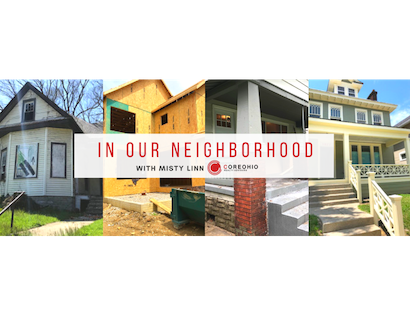 Highlighting the unique and diverse developments and growth in the Near East Side nieghborhoods. Olde Towne East. Franklin Park. Schumacher Place. German Village. Southern Oarchards. Olde Oaks. King-Lincoln. Deshler Park. Merion Village. Hungarion Village. Driving Park. Whether you are selling or buying in the Near East Side, my goal is to help people understand the up & coming opporutnities in our neighborhoods. As part of this, I partnerered with Good Day Columbus Marketplace, to features homes, opportunities, businesses, and community resources available. #1: Saved from the Land Bank! Olde Town East has new builds too! They don't all look the same! In-progress & complete renovation tour! You don't have to sell them after you renovate them! Investors making room in their budgets to incorporate local artists. Buy it for less than you can rent it! #8: Where to go in OTE! #9: Don't Forget About The West Side! Beautiful renovations on this side of town too! Professional staging: one of the most important pieces to listing your home! Catch up on 395 Morrison Ave.! Rich Street project is making progress! Serving those who serve our community! Some house just can't be saved. See how some homes look before all of the great renovations. Combining professional staging with a market for artists! So much to do in the Near East Side! The great work of Mozaic & Equitas - alive in our communities! 395 Morrison: our 1st renovation featured on the show is finished!